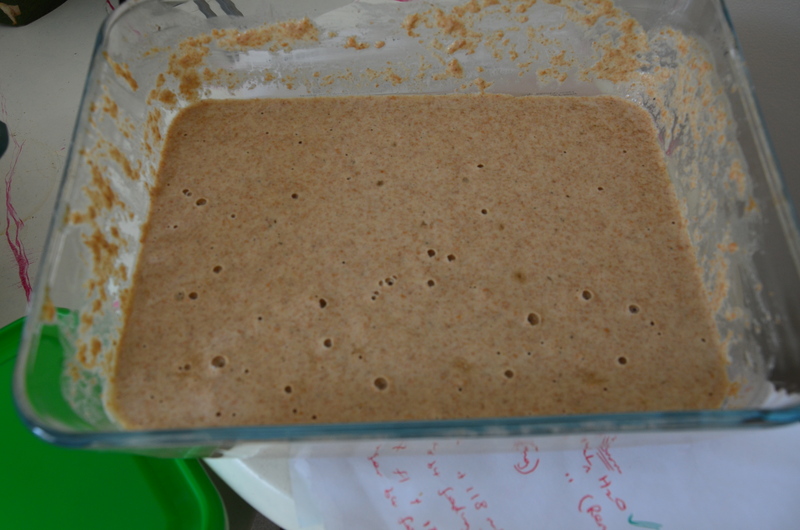 This month is Sourdough September, and as it so happens this is the month that I decided to take the plunge and try my hand at making my own sourdough starter. I decided to do an all Spelt starter because that is the main flour of choice for me as part of the blood type diet. Thanks to detailed instructions from Cultures for Health, and the return of Spelt as a staple on the shelves at the Hay Deli, I got out the kitchen scale, a wooden spoon, a glass pyrex dish with a lid, a liquid measuring jug and my packet of Doves Farm, organic, wholemeal Spelt flour. After about 18 hours, and one feed (I fed my sourdough 12 hours after I started it) a few bubbles began to appear . . . me thinks, a good sign! 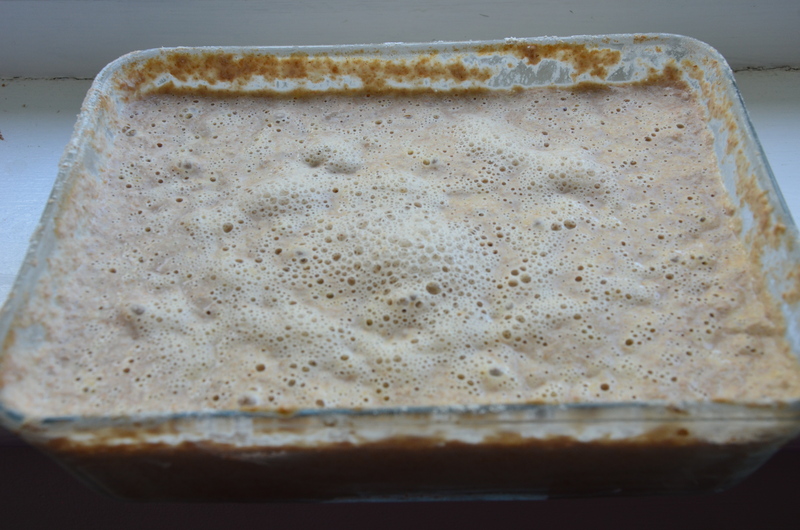 Day 2 of my sourdough starter, and a few more bubbles . . .
My sourdough starter alive and well, no doubt teeming with wild yeast and beneficial bacteria. At this stage, the surface was no longer smooth, but bumpy like cellulite. I imagined this was the desirable frothiness that I had read about during my research. At this stage, too, when I tilted the dish slightly, the contents were fluffy, light and foamy beneath the surface a well. And it definitely had that beery, yeasty smell that I had also read about and smelt in the sourdough starter at the bakery. 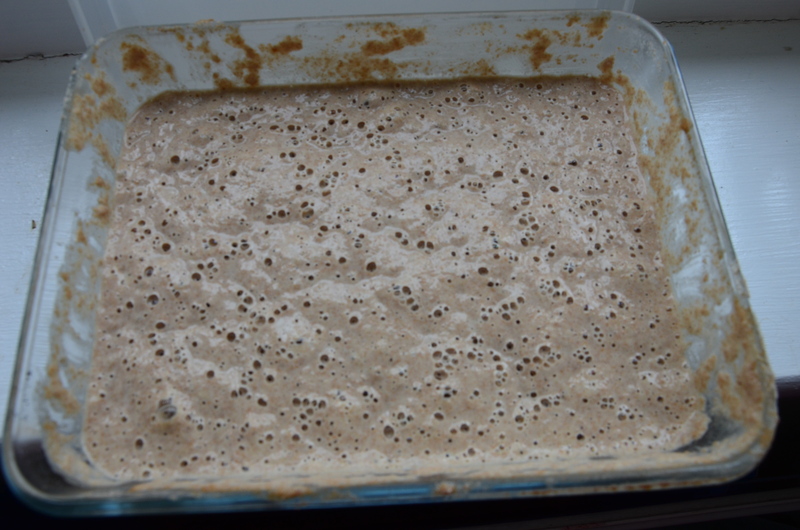 Sourdough starter after about 8 days: definitely frothy, smelling beery, and increasing in volume after each feeding. Now, gentle reader, I have to tell you about one of the pleasurable side effects of dabbling in making your own sourdough starter: you will inevitably be given the opportunity to indulge in more pancakes than you can possibly eat on your own, no matter how ravenous your appetite is. In order to keep the amount of sourdough starter that you produce to a manageable amount, all sourdough instructions will tell you at some point to ‘discard’ half of the sourdough before feeding it. The usual recommendations are that you can either put it into the compost, or you can use it to make pancakes. 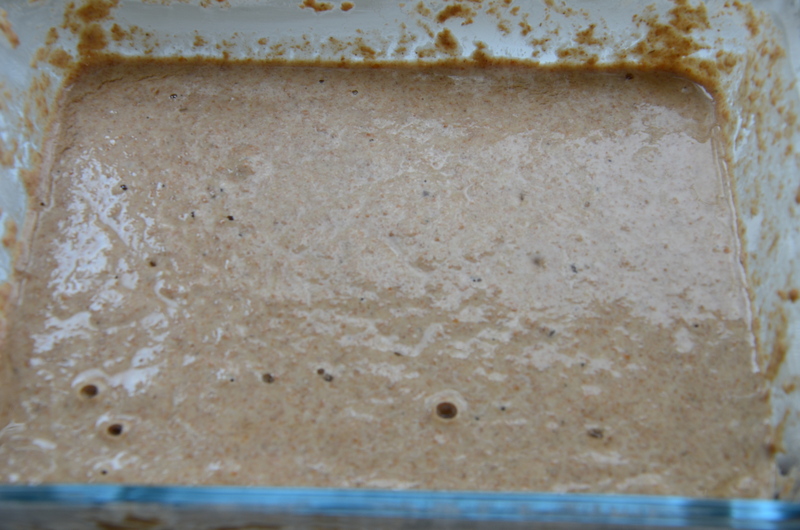 Some amount of mine got discarded into the compost because it was simply inconvenient to use it up at the time but one day I made a concerted effort to feed my sourdough in such a way that I would have bubbling starter, ready to be ‘discarded’ at a time when it was convenient for me to cook them up into pancakes. Can I tell you, dear reader, that I ended up with a bowl full of ‘discarded’ starter that needed to be cooked and the sheer magnitude of the task dispirited me. Nonetheless, I persevered with the painstakingly slow process of gently cooking the pancakes, and for several days there were a ton of them in the fridge. It was nice to be able to warm some up in a jiffy, I must say, and I enjoyed them, some with jam, some with honey and others with veggies that I piled up on top, pizza style. Pancakes aside, it was now time to move on to the next big task: using the sourdough starter to make my first loaf of sourdough bread. Details coming up in Appendix IV.